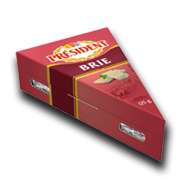 Président® Cheese is one of the world’s most notable and leading cheese ranges. 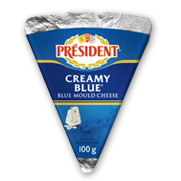 President is the No.2 Cheese brand globally, with a turnover of 1.6Bn EUROs selling in 147 countries. 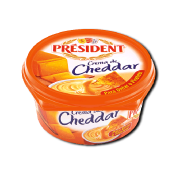 11 kgs of President cheese is sold very second. 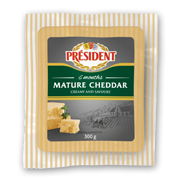 Crafted in the heart of South Africa’s dairy land, Président Cheese assures you of the highest quality and freshest products with delectable flavours. 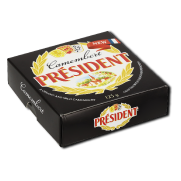 The Président brand dates back to 1933, in Laval, France, when André Besnier collected his first 17 litres of milk to make 35 Camemberts. 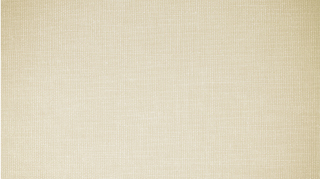 In 1968, all Besniers’ products we’re combined under one name, Président. 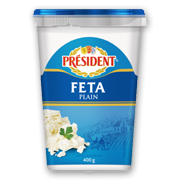 Today, President continues to create delectable cheese for all and is sold in over 147 countries and enjoyed by cheese lovers across the globe. Camembert all those years ago. 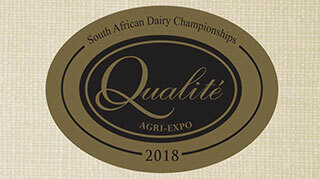 Master cheese makers have produced cheeses that have won medals in prestigious Cheese Awards across the globe, including South Africa’s Qualite Awards, setting a standard that they continue to live up to. Président Salted Butter has a distinctive refined flavour and is made from the finest milk from the Normandy region in France. 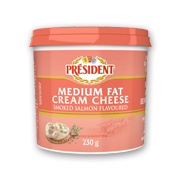 Président’s natural dairy butter is known for its creamy perfection and can be used at countless occasions, from cooking and baking, to making savoury sauces and delicious crumpets. 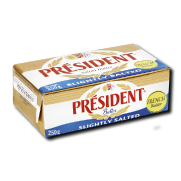 Président Salted Butter is available in South Africa in a 250g butter brick and a 250g butter tub. Président Camembert & Brie is made locally according to a French recipe to ensure you can enjoy an authentic ready to eat product in the distinct and delectable style of the Normandy region. A creamy and mild Camembert & Brie is ripe and ready to be enjoyed, all you have to do is pick the perfect moment. The nutritional information refers to the ready-to-eat product. 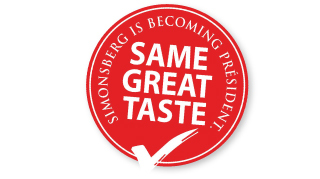 Président, France’s premier cheese and butter brand, is now available in South Africa. The imported range gives South African food lovers the opportunity to experience and taste this distinguished French brand. 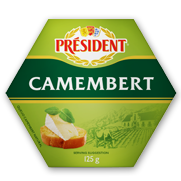 Président has a proud history dating back to October 1933 when André Besnier collected 34L milk and made his first 17 Camembert cheeses. The range expanded during the next few decades and achieved an excellent reputation. 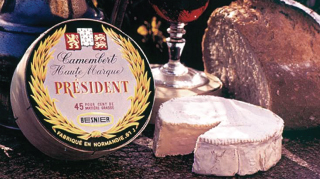 The cheeses won several medals and certificates and the range was eventually combined under the Président brand in 1968. This range is renowned throughout Europe for its extensive variety of products, ranging from soft and hard cheeses, to butter. With its delicious rich, creamy and buttery taste, this cheese spread has the texture of spreadable Brie. Made from natural dairy, it is easy to spread straight from the fridge, perfect for quick entertaining, as well as indulgent recipes. This rich and creamy spreadable Camembert has earthy mushroom tones. It is perfect for a cheeseboard or to complement biscuits and good to use straight from the fridge. This is a smooth textured, fresh, spreadable Cheedar Cheese, perfect for Cheddar lovers. Please address all queries to our Customer Care line on 0860 66 22 22 or mail president@parmalat.co.za.